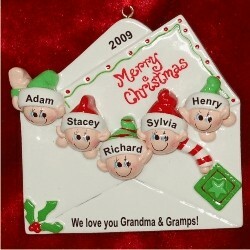 Whether the grandparents are near or far, they'll be delighted with the cheerfulness and love behind the Christmas greetings from 5 grandkids personalized Christmas ornament decorated in happy faces and festive colors. These grandparents ornaments personalized with names and a short message of love are lettered by hand in an attractive font more stylish than the one shown for clarity. They are fun to display anywhere - from the tree to the fridge! 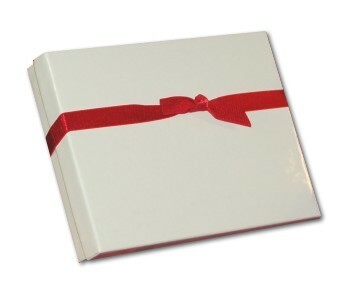 Arriving in our handsome velvet gift and storage bag, the Christmas greetings to grandparents five grandkids personalized Christmas ornament will put smiles on their faces throughout the holiday season. Great Value Nov 17, 2014 Pam K.